Description: Kick off is July 11th with flyers and information to our au pairs, host families, personal friends and families. We will encourage all to spread the word themselves as well. Drop off will be anytime, but August 6th will be the culmination of our International Exchange Sock Drive in several of the Boston suburbs. All participants will be attending the final gathering of the socks that evening for a BBQ celebration and counting of the socks! We are inviting local media and government representatives. Description: Au Pairs from Bucks, Montgomery, & Lehigh Valley AuPairCare will participate in a clothing drive. Event name: J Day - Lake George! Description: BBQ and games, 2 can donation to the Lake George Food Pantry for entry. Description: International Exchange Day (also known as J-Day) is a nationwide celebration of the power of international exchange. International exchange participants will come together with their American hosts to share cultural diversity and American customs and to give back to their communities. This year we will be throwing our 3rd annual companywide shoe drive! This year we are encouraging people to donate SHOES and/or NEW SOCKS. We want to focus on what it might be like walking in someone else's shoes, particularly those in need of footwear and socks all over the country. Last year everyone came together and Au Pair in America was able to donate hundreds of pairs of shoes! 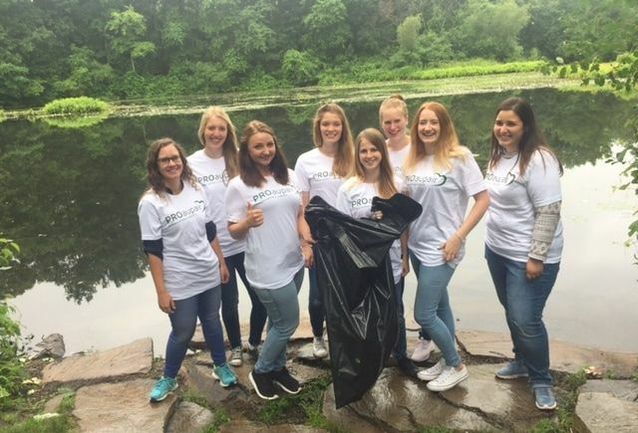 Description: We will participate in a community service activity at Riverside Park, Manhattan's most scenic waterfront park, preserving the park's flora and greenery. Afterwards, we will enjoy a picnic-style lunch and games in the park. Description: Exchange Visitor Program participants are invited to discover one of New York City's hidden gems and the best weekend getaway spot for New Yorkers - Governor's Island. 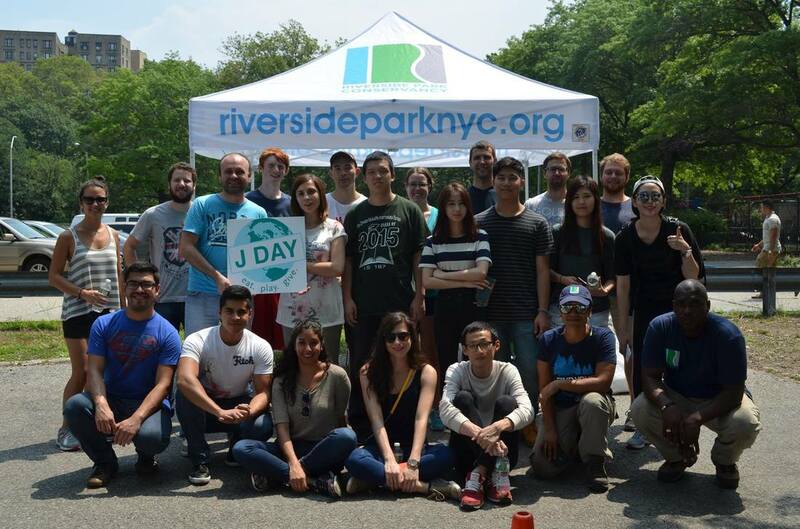 The group will learn about the ecosystem of the NYC harbor with the Billion Oyster Project, will ride bicycles (donated by Blazing Saddles), will enjoy a celebratory J Day lunch. Everyone will get a change to win tickets to the Empire State Building and Madame Tussauds Museum by taking part in the J Day raffle. 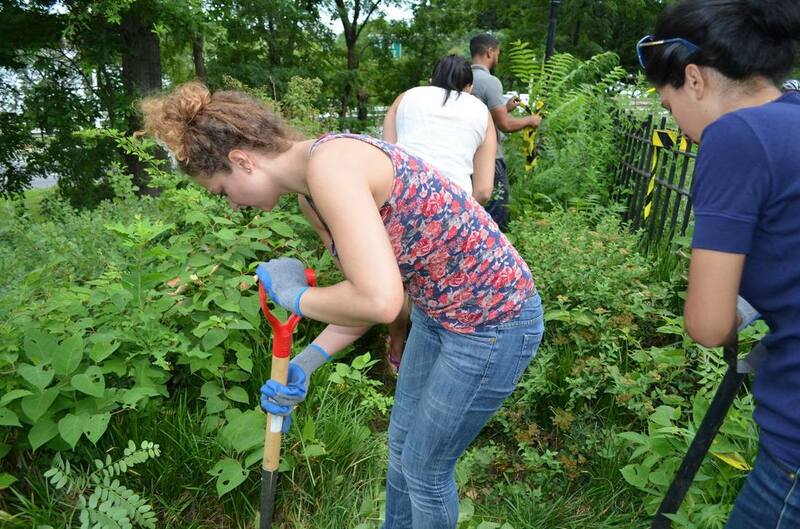 Description: Help beautify Schouler Park (near the North Conway train station). A morning of picking up trash and other debris in the park, followed by snacks, water, and a game of corn hole. Description: J participants and AIFS staff will be donating and sorting gently used shoes and new socks. We want to focus on what it might be like walking in someone else's shoes, particularly those in need of footwear and socks all over the country. All donations are going to the Open Door Shelter in Norwalk, CT. Description: Help us give back to the OOB community by joining us for a beach clean up! (Trash bags and gloves will be provided.) There will also be games, prizes, and food. Description: We will host a Spanish Dinner and International Dessert for Au Pairs and their families and members of the church community. We will participate in the shoe and sock drive and by partnering with the church, we hope to have greater participation in the shoe and sock drive and to spread awareness of International Exchange Day. Description: Participants will meet at Splash Zone Water Park 6:00pm - 10:00pm for a fun evening in the water park. #EAT: Pizza, hotdogs, snacks. #PLAY : Water slides, giveaways, music. #GIVE: Students who bring two cans of non-perishable food will receive free admission to portions of Splash Zone Water Park.